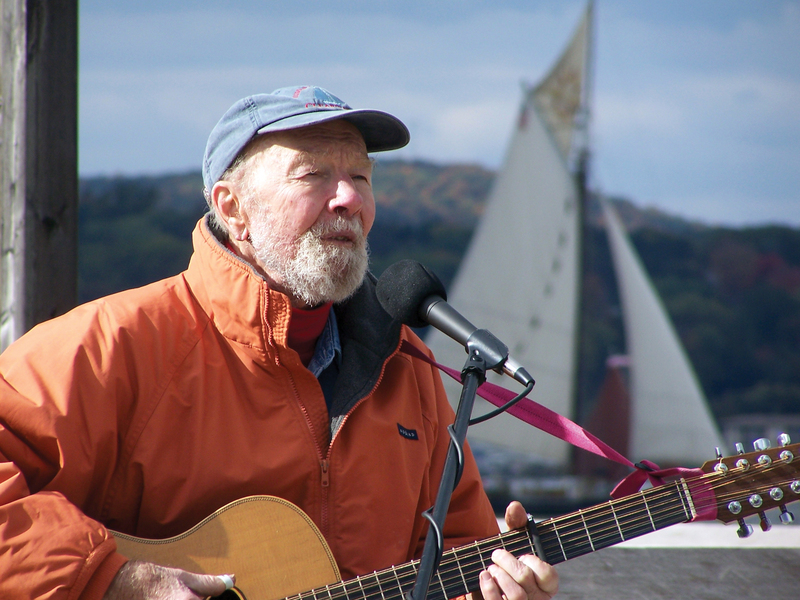 Hyde Park, NY – Pete Seeger and the Hudson River, two American treasures intertwined in the modern environmental movement, are the focus of NDSO’s “American Songfest” concert on Saturday, April 22 at 8 p.m. in the Marriott Pavilion at The Culinary Institute of America. As a tribute to Seeger’s monumental environmental work, images of the Hudson River and his Clearwater sloop will accompany songs emblematic of his activism, like This Dirty Stream and We Shall Overcome. The concert will also feature members of the Hudson Valley Saxophone Orchestra and photographs of the Hudson River by Joseph Squillante. Tickets for the concert are $25 for adults, $20 for seniors, and $5 for students. For more information or to buy tickets for the concert, go to www.ndsorchestra.org or call 845-635-0877. Additionally, the CIA will open its Ristorante Caterina de’ Medici for a special $39 pre-performance dining experience. The menu will include family-style Caesar salad and antipasti, a selection of five gourmet pastas served table side, and a dessert. Reservations for this pre-performance dinner are available from 5 p.m. to 6:15 p.m. The $39 excludes beverages, service charge, and tax. To book your table, call 845-905-4533, or e-mail ciarestaurantgroup@culinary.edu. This special dining event will sell out, so please make reservations early.